If you are looking to brush up on your skills, want to try and catch a personal best, or just looking for a really special day out, then why not join me for a day on the bank? I can offer a very flexible Guiding service, with anything from a few hours skills training to multi-day trips being available, on either venues selected by me, or on your local venues. In fact, every day is completely tailored to the individuals requirements. Guiding days are offered on a strictly first-come first-served basis with normally only two to three days available per month. If you would like to discuss your requirements further then please send me a message via my Contact page. I tend to split my guiding year up into five periods, based upon the weather and the species that I will mainly be targeting. The benefits of this system are that because I will be concentrating on one or two venues and species I really have my finger on the pulse of what is happening, which really does maximise the chance of success. Normally I take it easy during these months and although guided days can be available the conditions can make life hard. Challenging weather conditions are a fact of life, but if you are happy to take the rough with the smooth then a good days pike fishing or chub fishing can be had on most days. With the shoots now appearing on the trees and the days lengthening we are starting to see the first respite from winter, and with it the fishing generally improves greatly. March will see the last of the predator fishing for the winter and also other species can become a viable option, such as Stillwater roach and bream. One of my favourite times of year, and a period when Stillwater fishing reaches its prime. Carp, tench and bream are the main targets at this time of the year with some fantastic gravel pit fishing available; tench regularly topping 7lb and bream reaching into double figures both figure in catches during these months. 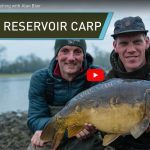 Carp fishing sessions are normally based around one of several ‘runs waters’ where double figure fish are the norm and the chance of a twenty pounder is not out of the question. 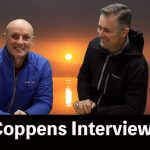 When conditions allow, surface fishing is the most interesting, productive, and just fun way of catching carp, but as this style of fishing is weather dependent, bottom fishing tactics are also catered for. 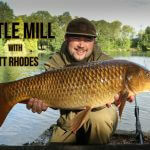 These sessions ideally suit anglers looking to improve their carp fishing skills, or who are looking to switch from match and pleasure fishing to the pursuit of specimen carp. With access to several excellent tench venues, sessions can be tailored towards the dawn to midday, when conditions are at their best, or more leisurely day sessions. Bream fishing varies with the venue. 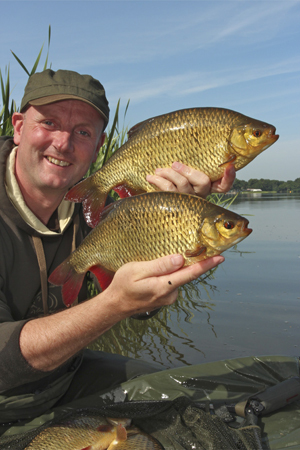 For those looking for specimen sized fish over-night sessions can be arranged on several gravel pits where the chance of a double-figure fish is high. Alternatively, day sessions on productive venues with a slightly smaller stamp of fish, but plenty of them, offer great sport. With the opening of the river season my attention turns to the fantastic barbel and chub fishing on my local rivers. Living in the West Midlands I am surrounded by some of the finest river fishing in the country. From the mighty River Severn, famed for its massive shoals of barbel and chub, in its middle reaches and big fish in the wider lower river. The more diminutive Warwickshire Avon makes up for having perhaps a lower stock of barbel than its larger neighbour by having a higher proportion of ‘doubles’ and plenty of chub to over 6 pounds. Finally there is perhaps the jewel in the UK’s river fishing crown, the wonderful River Wye, where catches of barbel and chub really can exceed all expectations. With access to a large number of stretches of river, and my finger on the pulse of the local fishing scene, there is something here for everyone. Whether you are looking to catch your first barbel, improve your tactics, or looking for a more adventurous day out on a wild river, days can be tailored to your exact requirements. We are now moving into a great time of the year for barbel and chub fishing, as the number of anglers and other water users will have fallen away quite significantly, and the shorter days allow us to enjoy the best sport around dawn and dusk. Big barbel catches will continue right up until the weather turns cold. 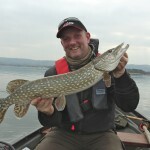 The autumn also sees the beginning of the predator season, with some great pike, zander andperch sport to be had on various venues. 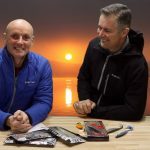 Whether you are interested in learning more about lure fishing, the latest deadbaiting tactics, from either bank or boat, then there is a day to suit you. 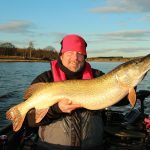 Catches during 2015 during the autumn were excellent, despite the often challenging conditions, with pike to over twenty pounds, double figure zander and perch to over three pounds coming to the net.